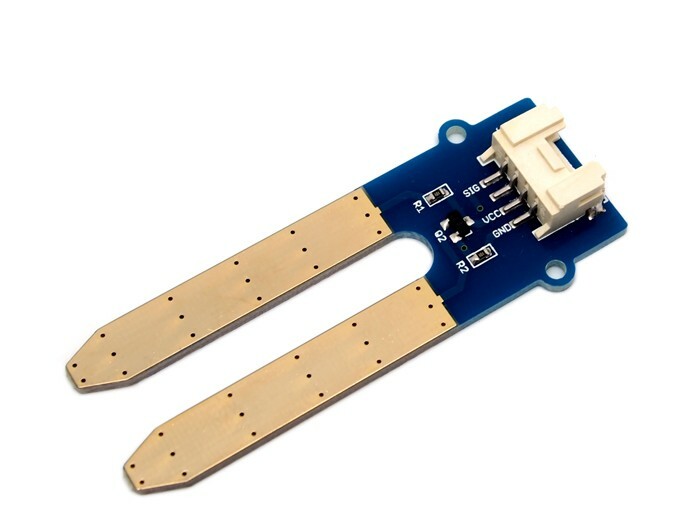 This Moisture Sensor can be used to detect the moisture of soil or judge if there is water around the sensor, let the plants in your garden reach out for human help. They can be very to use, just insert it into the soil and then read it. This Moisture Sensor can be used to detect the moisture of soil or judge if there is water around the sensor, let the plants in your garden reach out for human help. They can be very to use, just insert it into the soil and then read it. With help of this sensor, it will be realizable to make the plant remind you : Hey, I am thirsty now, please give me some water.